Zippo Meadow Green Iced Windproof Lighter | BUDK.com - Knives & Swords At The Lowest Prices! Zippo's exclusive "Iced" design highlights a multi-faceted engraving and layering technique to create the illusion of looking through a thin sheet of ice. 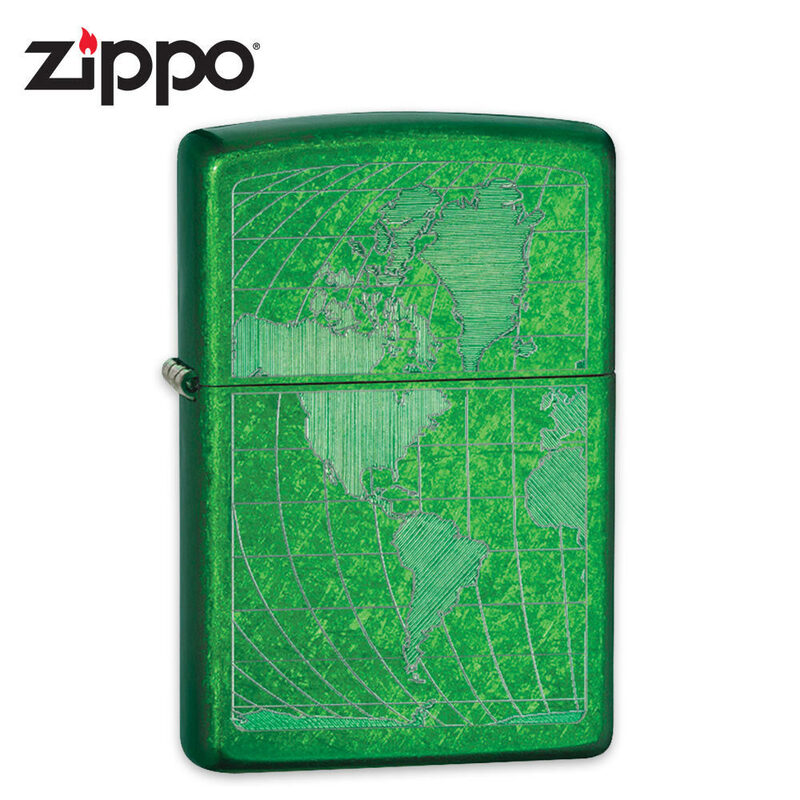 This meadow green iced lighter has a vintage flare and high-fashion look and feel with its world map background. Most importantly, it offers Zippo's legendary windproof performance, guaranteed! Made in the U.S.A.